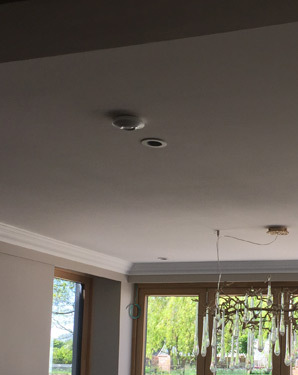 Fire Alarms designed to make your home safe. Please call us on 0800 082 5500 or fill in your details and we will call you back. ESI install Conventional and Addressable Fire Alarm systems. We install to BAFE SP203 & BS5839 so you can be reassured that our systems offer the best protection for your home and family. Optional remote monitoring calls the fire brigade quickly if fire is detected. 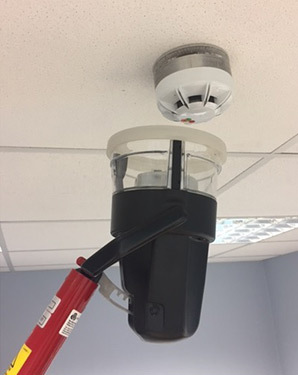 Landlords – Call us to arrange your 6 monthly fire alarm servicing. Combine with extinguisher servicing for our best prices. Please call our experienced team, or take a look at our buyer’s guide. If you would like to discuss a fire alarm to help protect your property please call us now on 0800 082 5500. 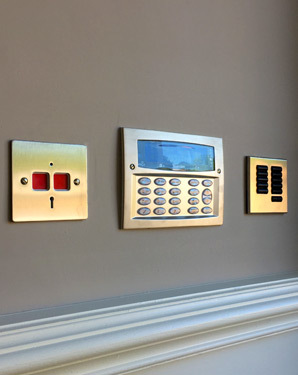 © Electronic Security Installations Ltd 2010-2019. Registered in England 05328060. SSAIB & BAFE. Recognised by all major insurers. SSAIB certificate of excellence.